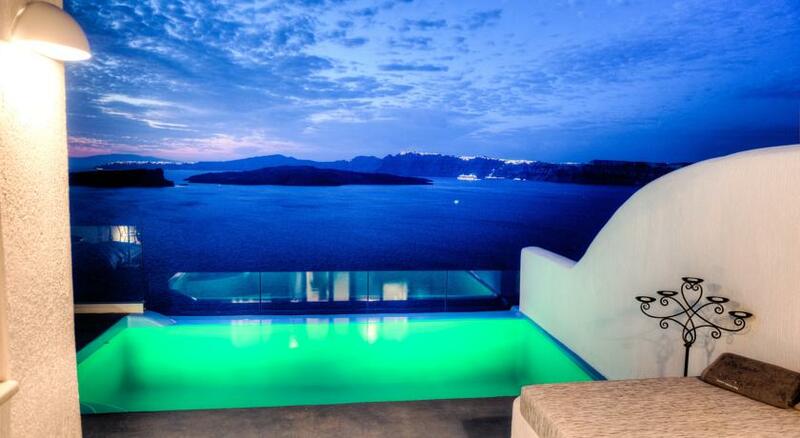 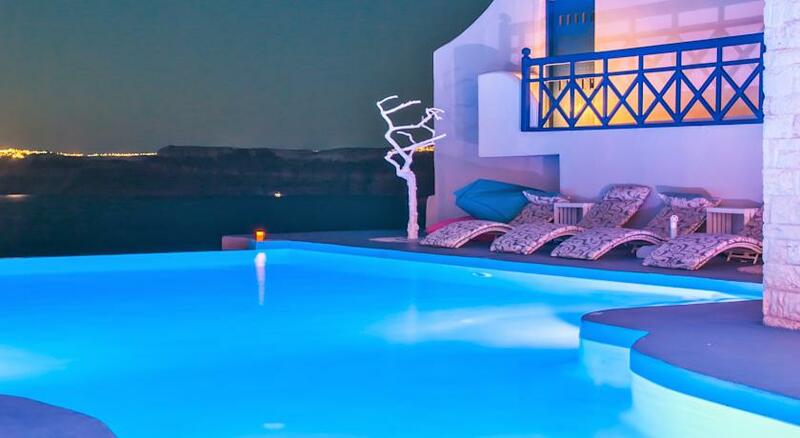 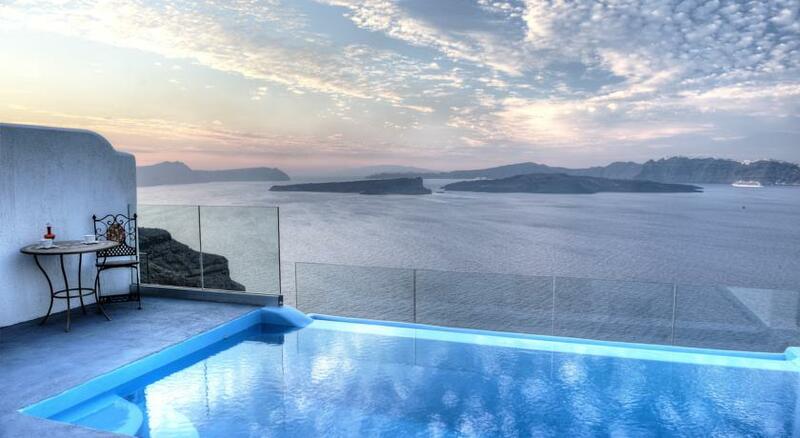 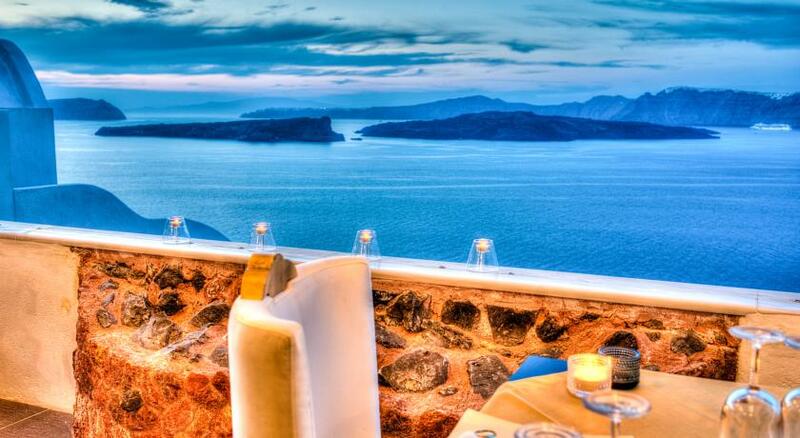 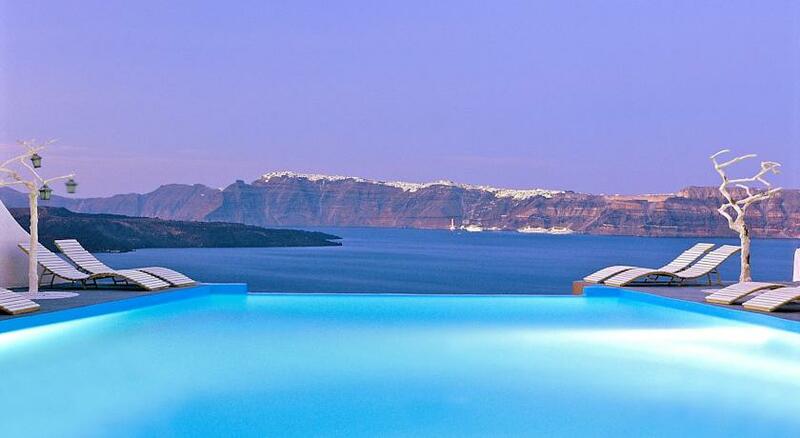 Located in the settlement of Akrotiri and perched on the volcanic cliffs of Caldera,theunique propertyof AstarteSuites offers luxurious accommodation with stunning views to the vastness of the Aegean Sea and the iconic volcano right in the middle. 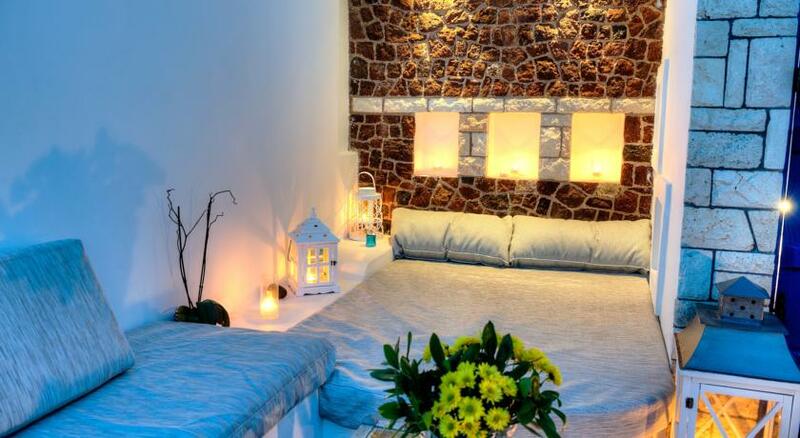 This only-suite boutique property features luxury suites of exceptional beauty, along with world-class services, pampering its guests in sumptuous surroundings, at the tip of Santorini. 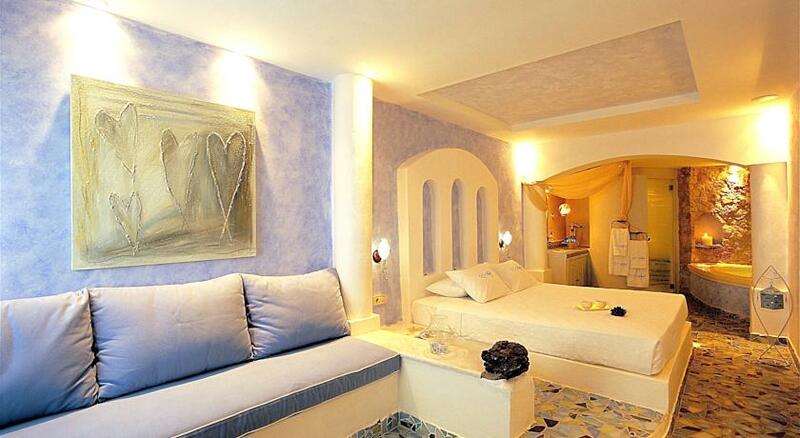 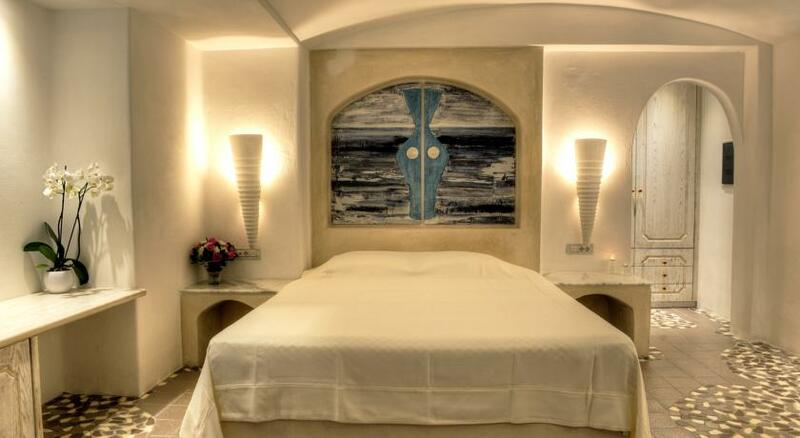 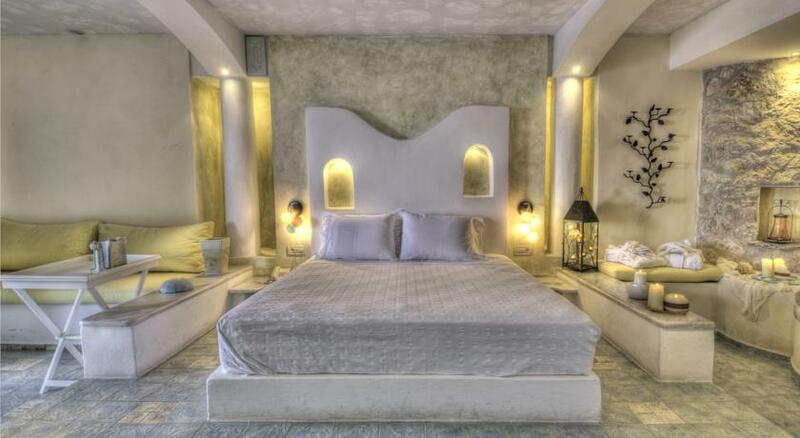 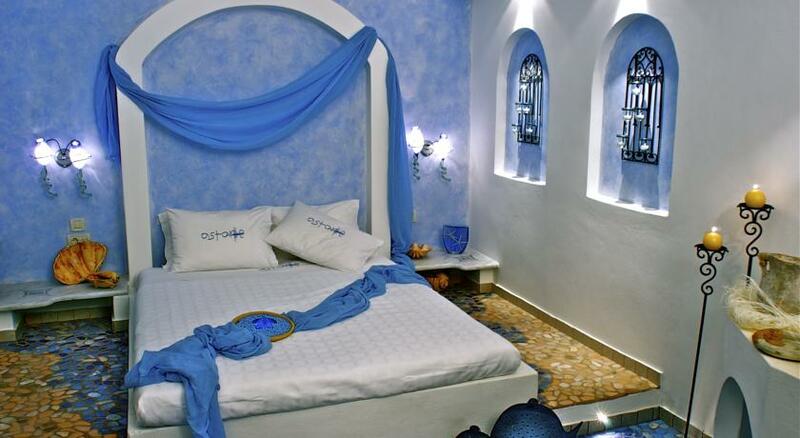 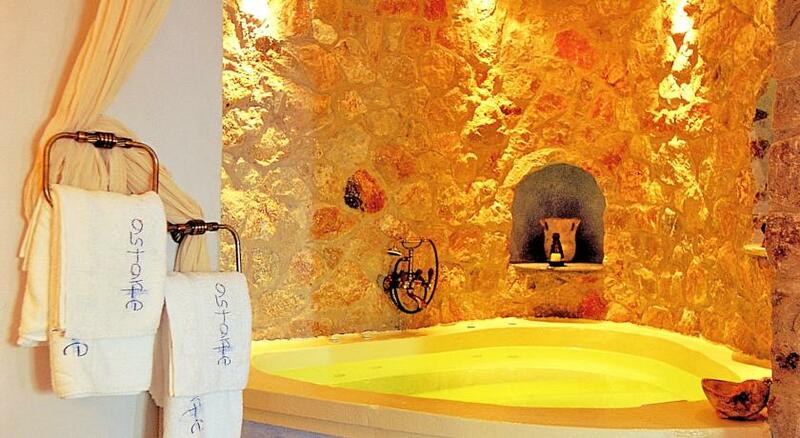 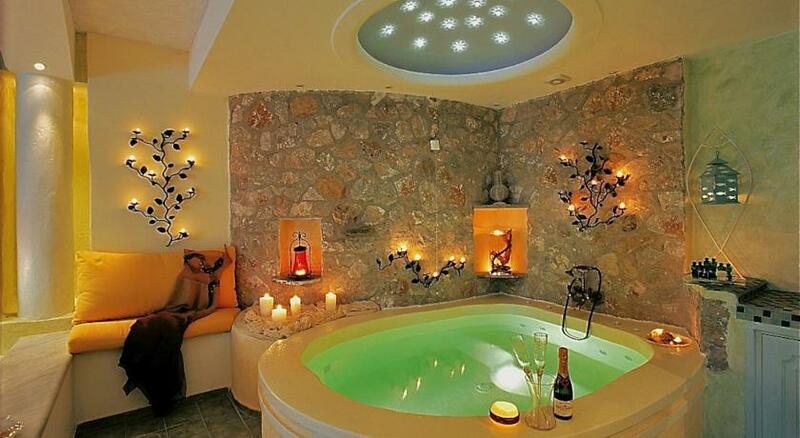 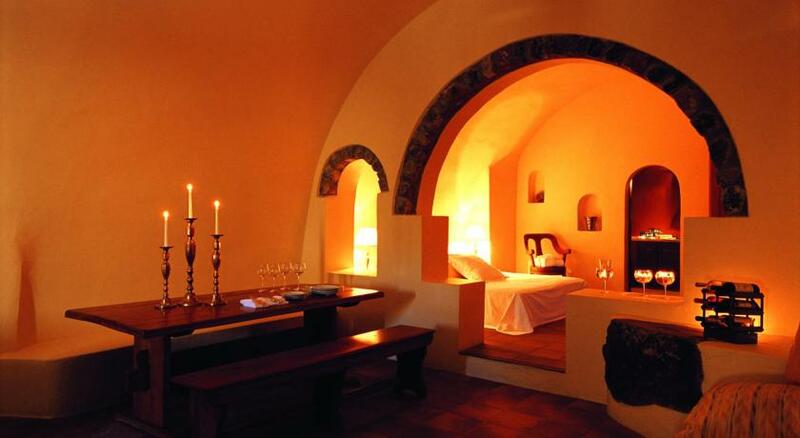 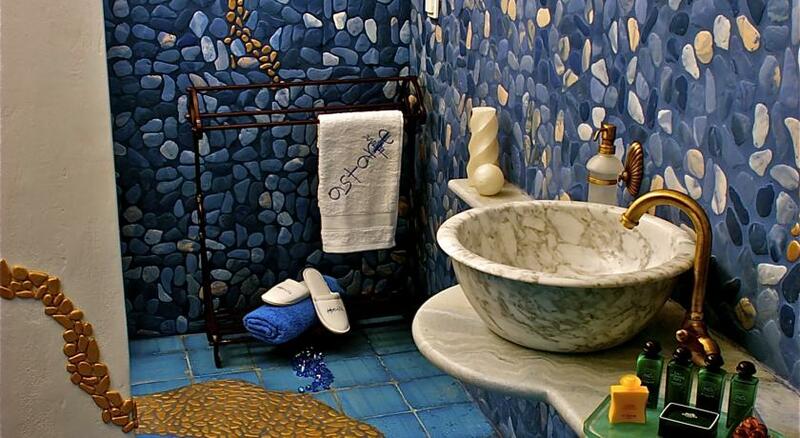 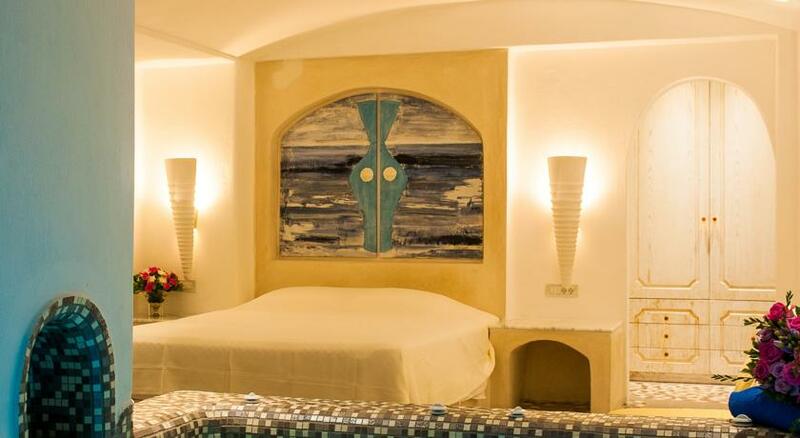 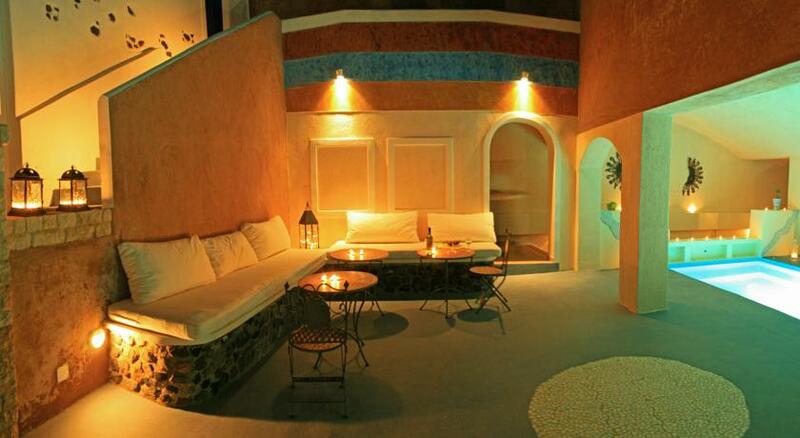 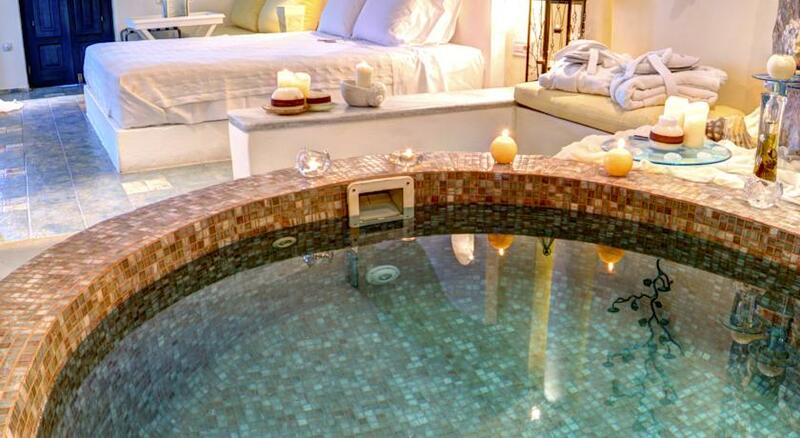 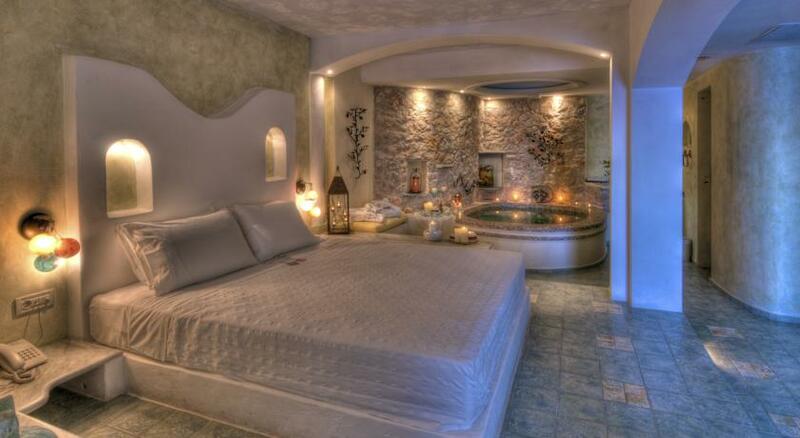 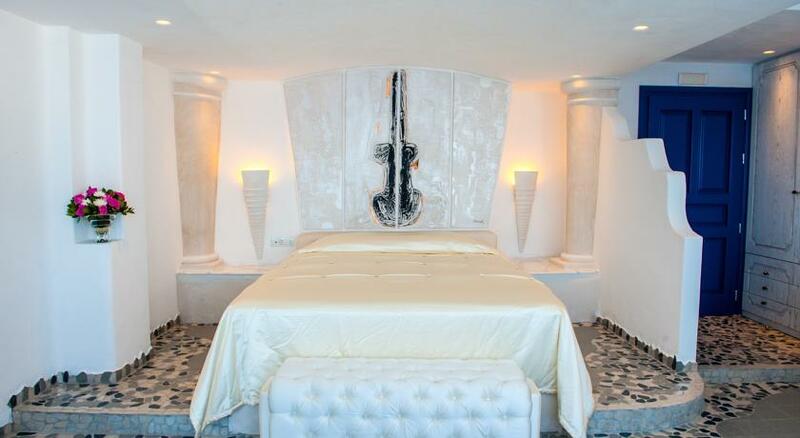 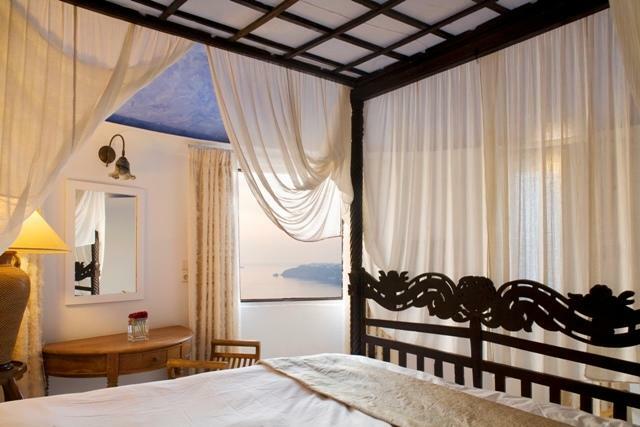 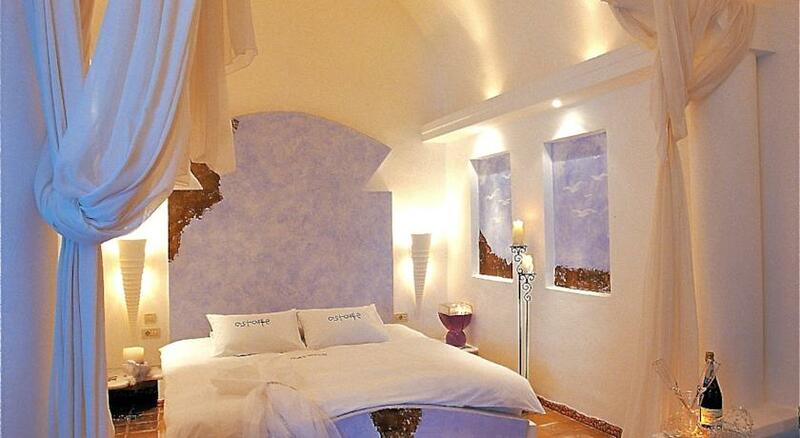 Astarte Suites are romantically decorated in natural tones and feature built-in beds. 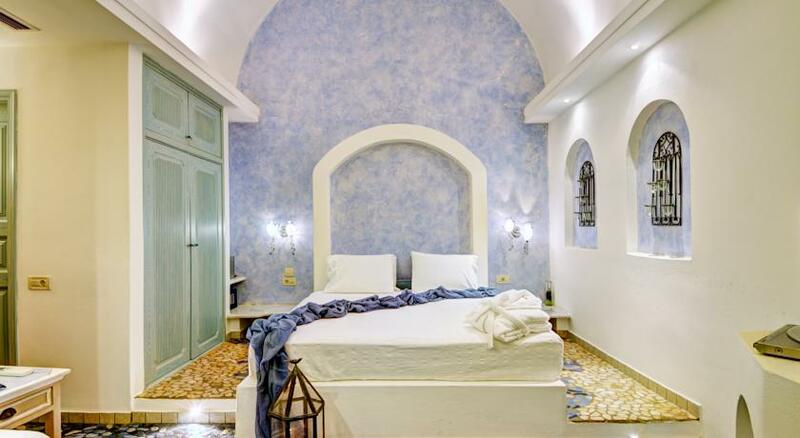 Interior design is inspired by the ancient Mediterranean culture making Astarte Suites a true retreat to savor an authentic Santorini experience. 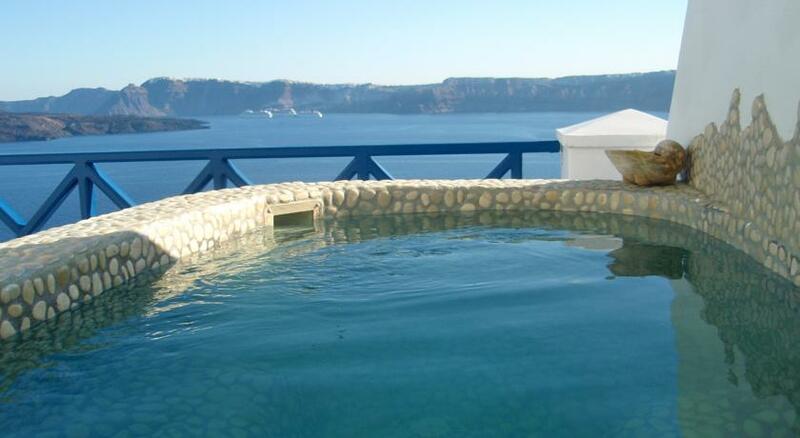 The suites open out to a private terrace overlooking the volcano and the infinity pool. 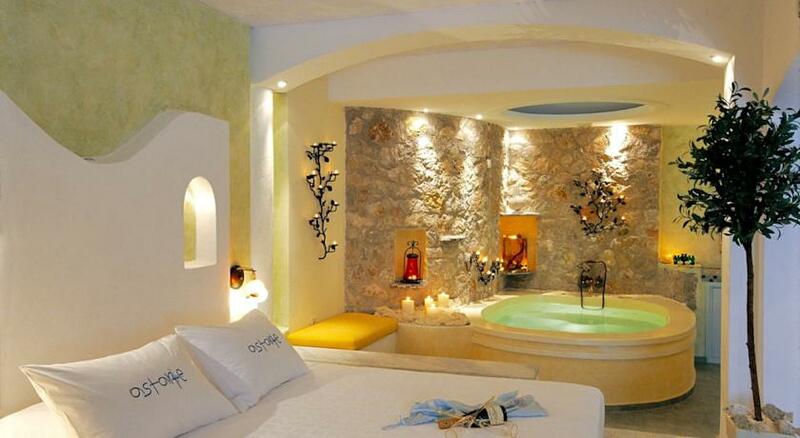 Bathrobes, slippers and cosmetics are offered for extra comfort. 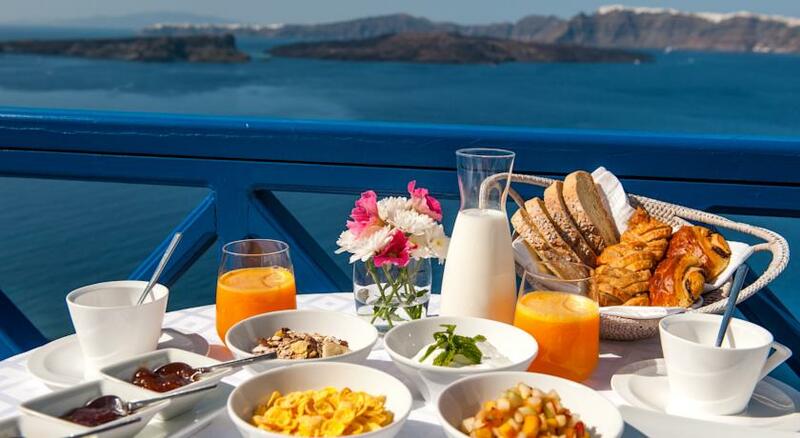 Guests can enjoy breakfast in the privacy of their terrace. 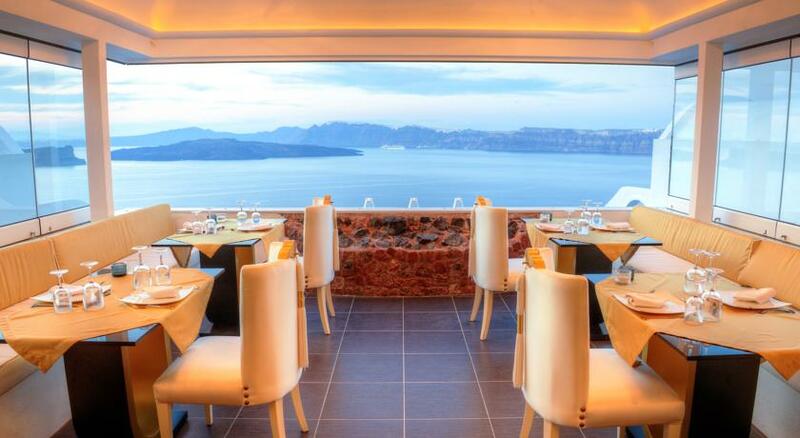 Local and international dishes made with fresh products are prepared by the Astarte chef. 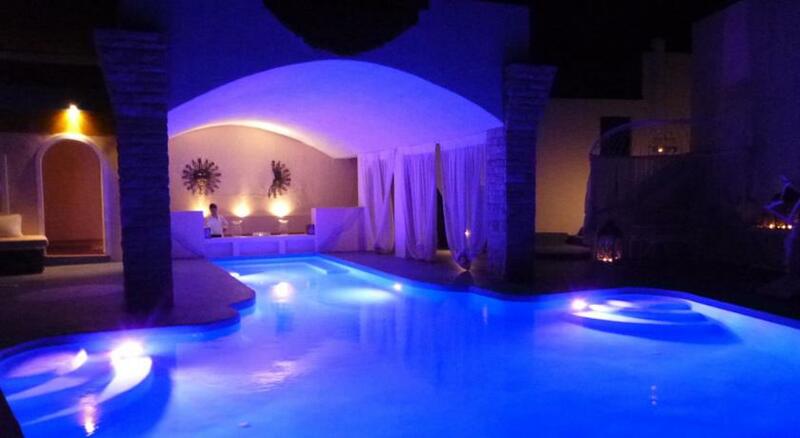 The Morning Star pool bar serves refreshing cocktails, snacks and light meals. 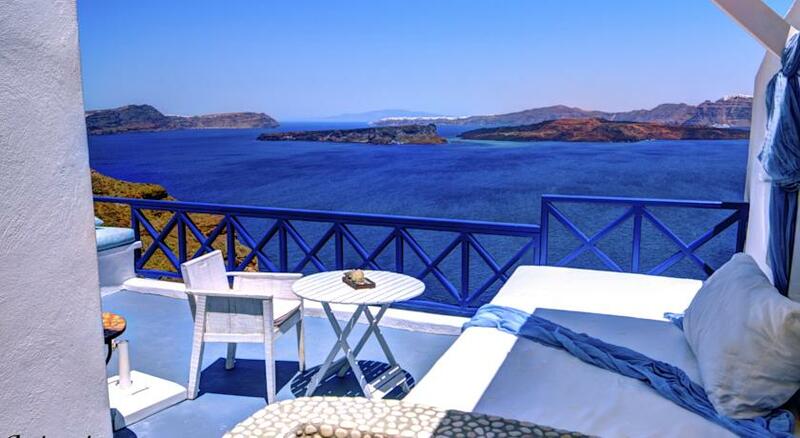 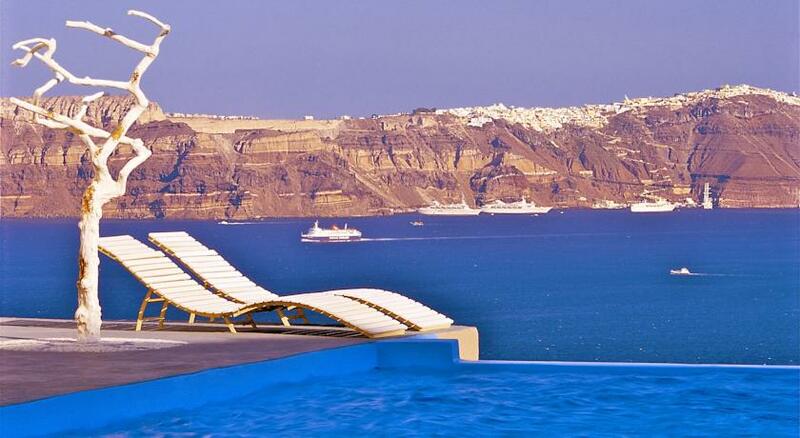 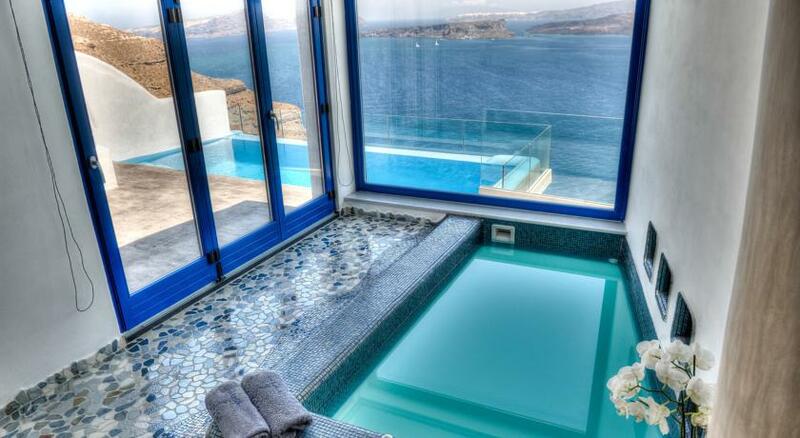 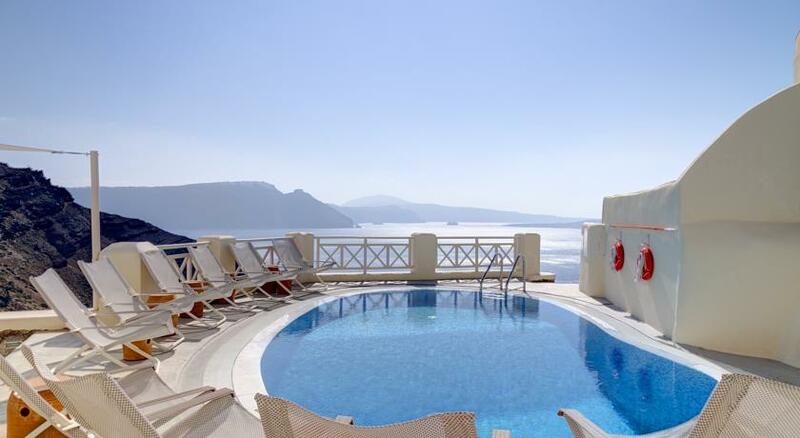 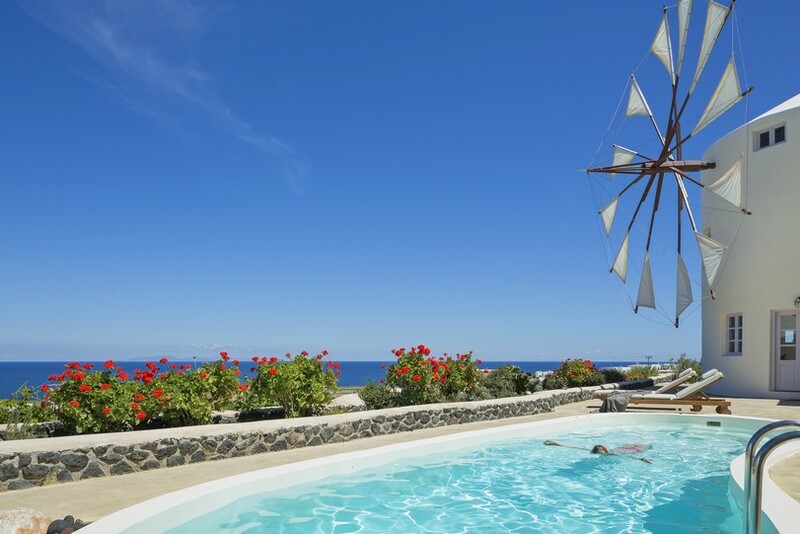 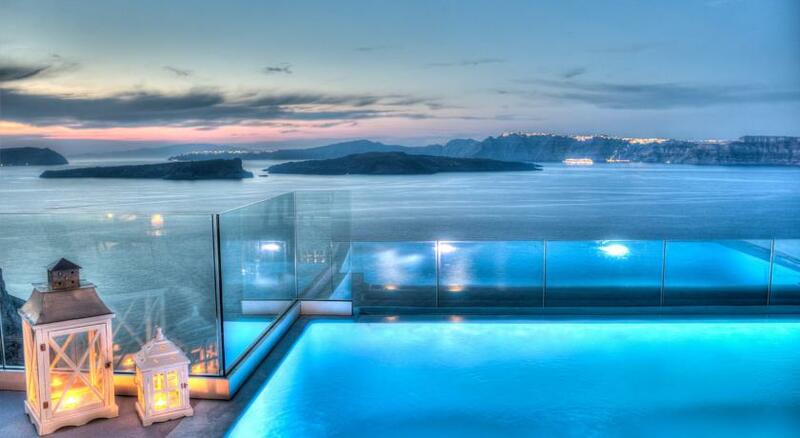 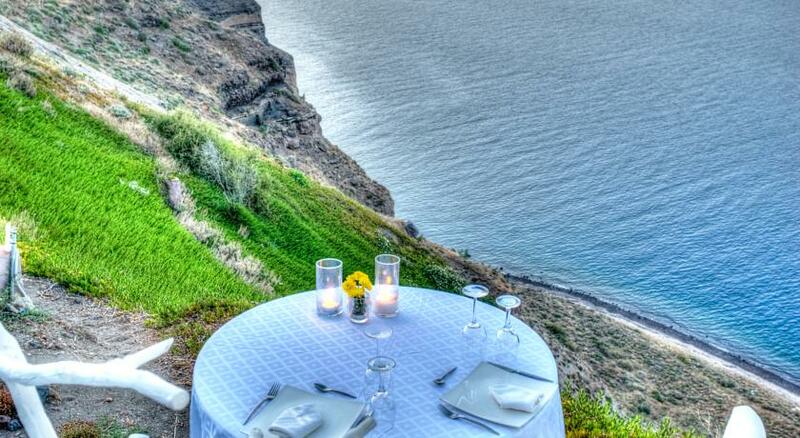 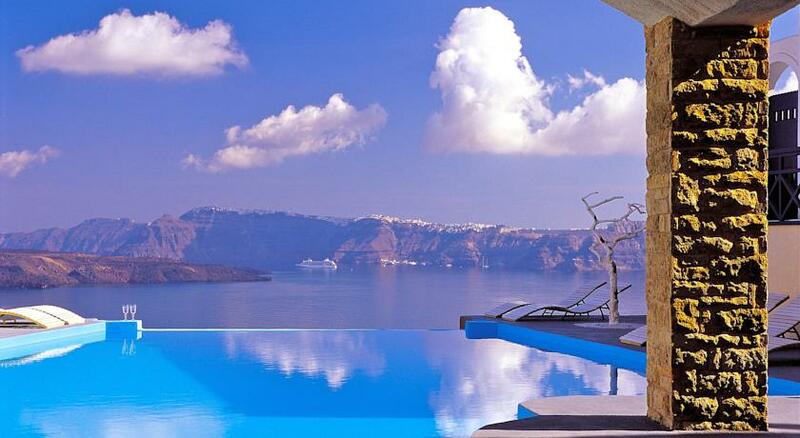 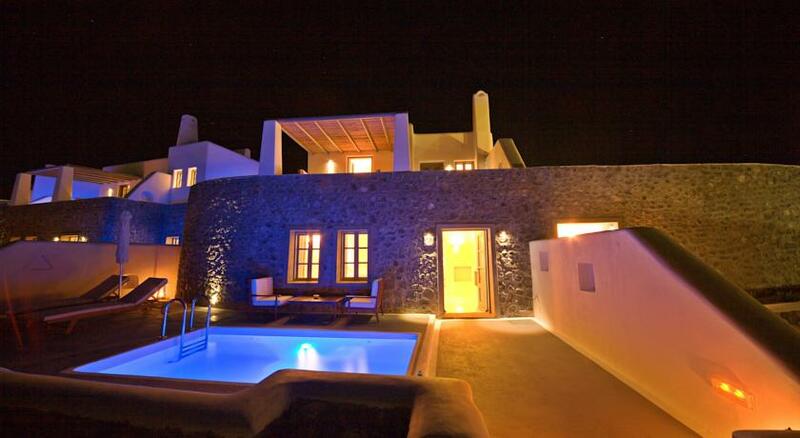 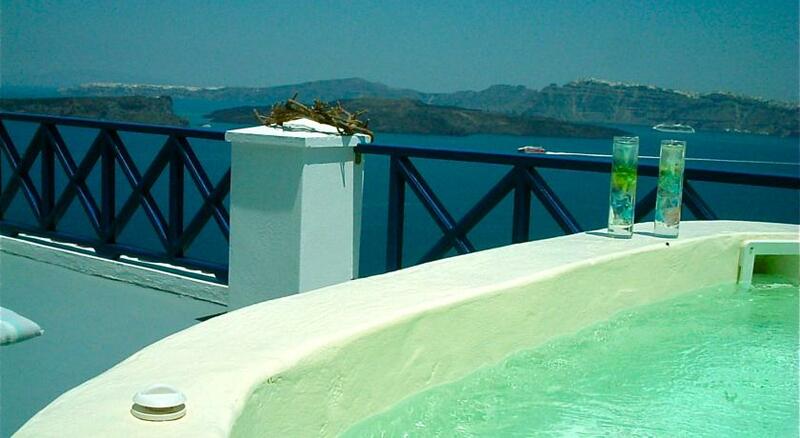 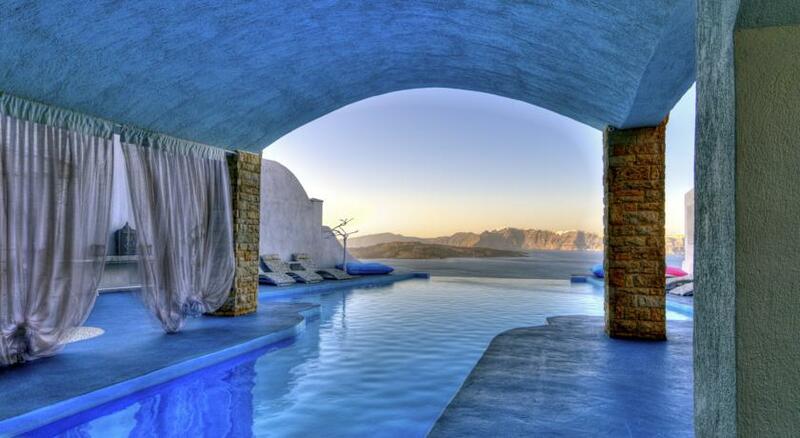 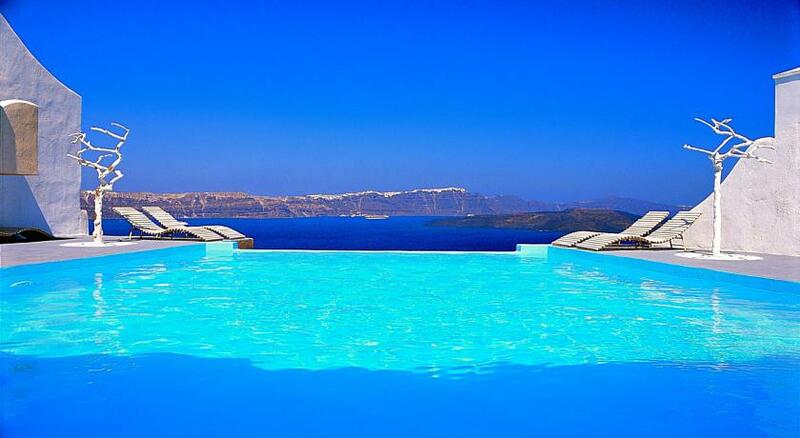 The hotel’s offers free 2-way transportation from the airport and port of Santorini. 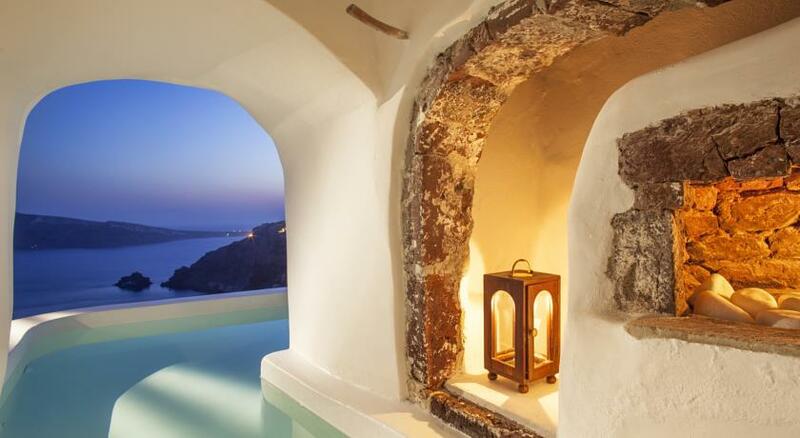 The archaeological site of Akrotiri is one mile away. 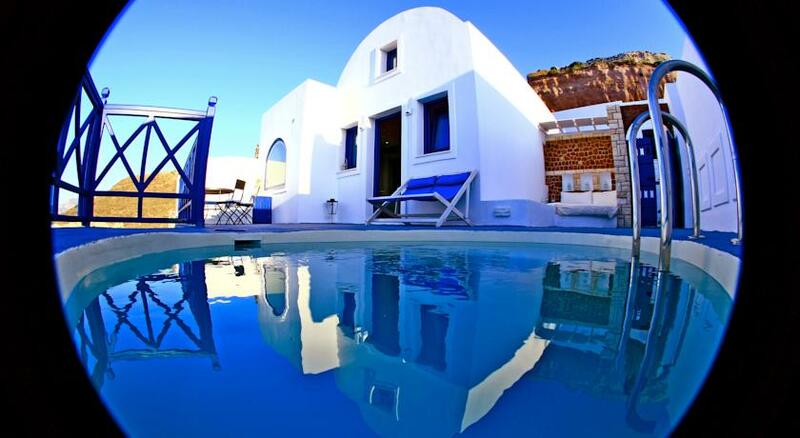 The spectacular Red Beach is just a short drive away. 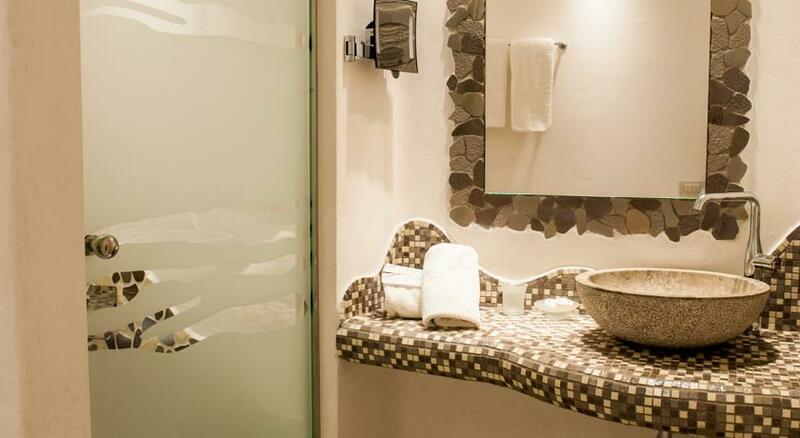 Free Wi-Fi and free on-site parking are provided.